Businesses and organizations in Calgary are taking steps to provide support. Taking care: Manoj and Ritu Agarwal at the Good Earth Coffeehouse in Strathcona. Photography by Jared Sych. At the Good Earth Coffeehouse in the southwest community of Strathcona, owners Ritu and Manoj Agarwal strive to make their café a welcoming place for all, with games, clear signage, an open floor plan and lots of natural lighting. During their weekly Memory Cafés, all of these features help to make people living with dementia, their families, friends and caregivers feel comfortable meeting, relaxing and socializing in a public place. The Memory Cafés, part of The Brenda Strafford Foundation Dementia Friendly Communities initiative, take place at the coffeehouse Mondays from 5 to 7 p.m.
With many elderly customers, the Agarwals recognize that dementia is a prominent issue and they want to help. “It’s a well-known condition and we all may face it one day. Taking care of them—it’s probably a good idea,” Manoj says. The staff at the Strathcona Good Earth have received training on how to interact with people living with dementia. Ritu emphasizes the importance of being kind and patient. 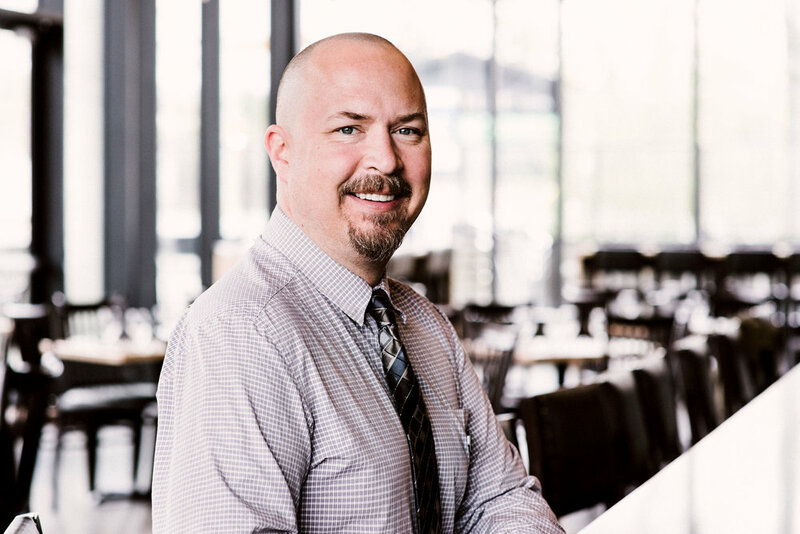 More and more inclusive: Kelly Palmer at 1918 Tap & Table in Kensington. Photography by Jared Sych. At the 1918 Tap & Table, the Kensington Legion’s public restaurant, things work a little differently. As part of the Royal Canadian Legion, its primary mandate is to support Canadian military veterans—but the not-for-profit establishment is also involved in a range of community programs. One such initiative is the Conversation Cafe, which was suggested by Dementia Network Calgary. It’s an opportunity for those living with dementia, their families and care-givers to socialize in a public place. “We do have a few members and families that are affected by dementia, and so we figured that it would be a really good fit for the Legion to be involved in something like that,” says assistant general manager Kelly Palmer. The Conversation Cafes run from 2 to 4 p.m. the second Tuesday of each month. Attendees connect over their shared experiences. “The whole idea behind it is to become more and more inclusive and to hopefully bring together more and more people. It’s part support group, part social activity,” Palmer says. 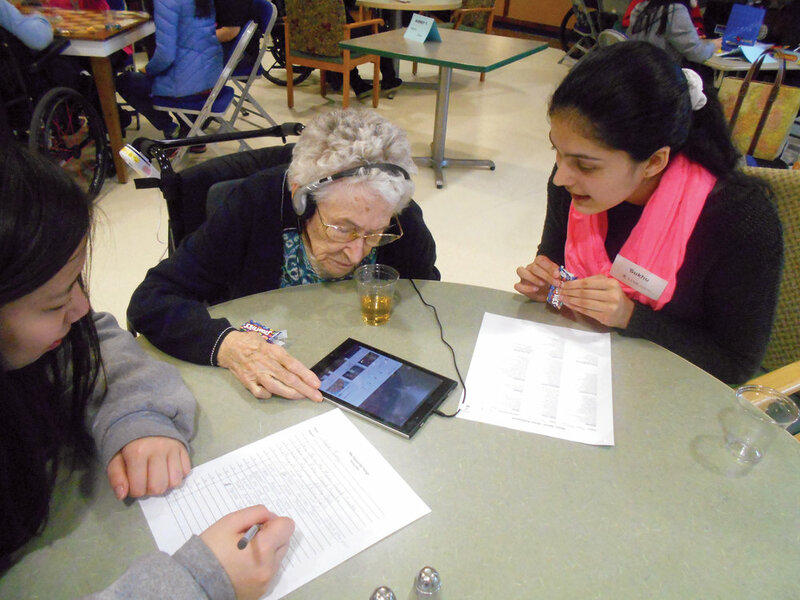 Music Links: Students help a senior friend discover her favourite music using a tablet and headsets.Photo courtesy LINKages. LINKages strives to create intentional, inclusive, healthy communities where seniors feel a sense of belonging and connection. It does this by providing school programs, community events and programs like Digital Connections, where youth teach seniors about technology. To give all seniors the opportunity to participate, LINKages staff and volunteers focus on abilities. LINKages works with students in grades 5 to 12 from 14 schools, which are paired with seniors’ residences based on geographic location. Students in the program from Ascension of Our Lord Junior High, who received specialized training on dementia, visit seniors at Bethany Harvest Hills. “I hear lots of people talk about how people suffering with dementia must be so confused. Like they are not really a whole person anymore, and more of just a condition. However, when I sit and talk to them, I feel nothing but joy,” says Natalie Toltesi, a Grade 8 student at Ascension of Our Lord. Music Links, a pilot program run in 2016, focused specifically on seniors living with mid- to late-stage dementia. Youth created and shared music playlists for seniors based on their past or genre preferences. For more information, go to link-ages.ca.